Billy Idol, the boys from The Outsiders, and young Drew Barrymore walk into a room…This is either the most most epic 80s party ever or the inspiration behind the Hey Babe! 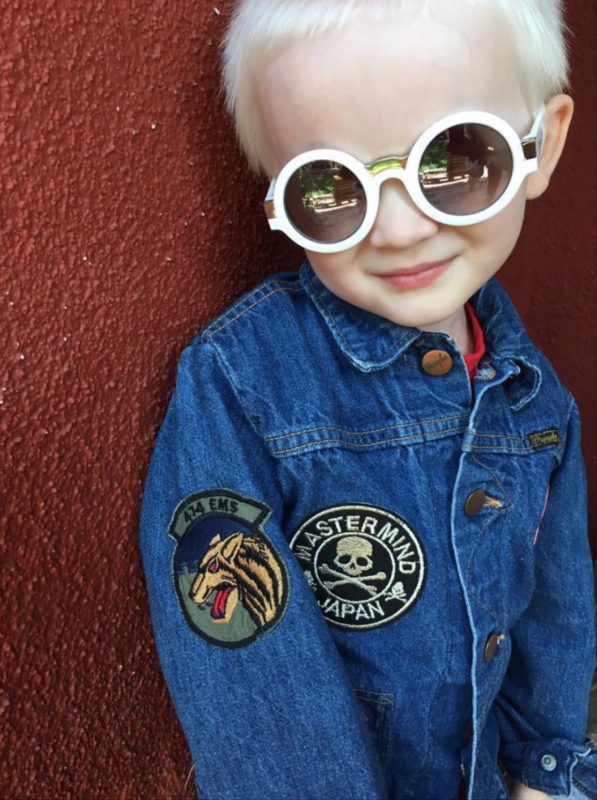 kids denim jackets. Or perhaps both. Hey Babe! 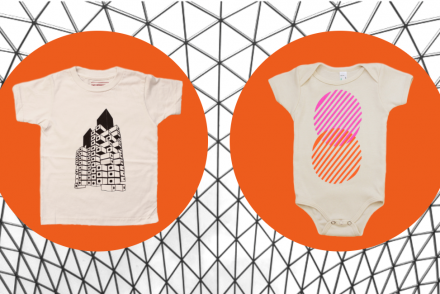 began when artist and founder Natascha Snellman was pregnant with her first son. Let’s be real, our parents were the original hipsters and Natascha’s mom is no exception. She used to patch her own denim jackets for Natascha’s brother in the 80s and suggested Natascha do the same. “I bet your friends in LA would like these for their babies,” she said. Mama Snellman was not wrong; she knew what was up. After Natascha had her little man, she craved for an artistic outlet. 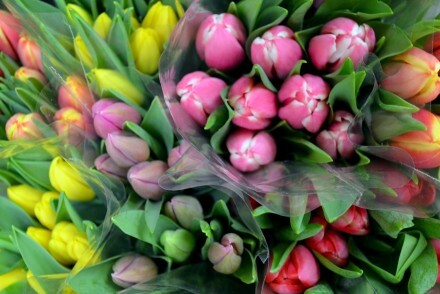 Not only for herself, but for her son as well. 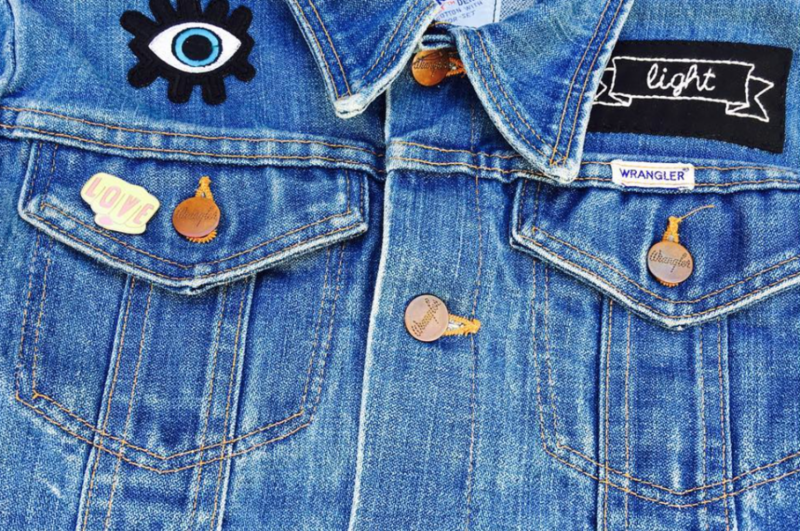 This outlet came in the form of kids denim jackets expertly adorned with patches and pins. I had the need to tap back into my creativity, for my own sanity and also to be a role model for my son. I want him to know that I am not only his mom; I’m also creative, a maker, and a doer. As someone who loved the world of art and popular culture, Natascha forged her own artistic path. In fact, her thesis exhibition for the Art Center College of Design’s MFA program was entitled Hey Babe! 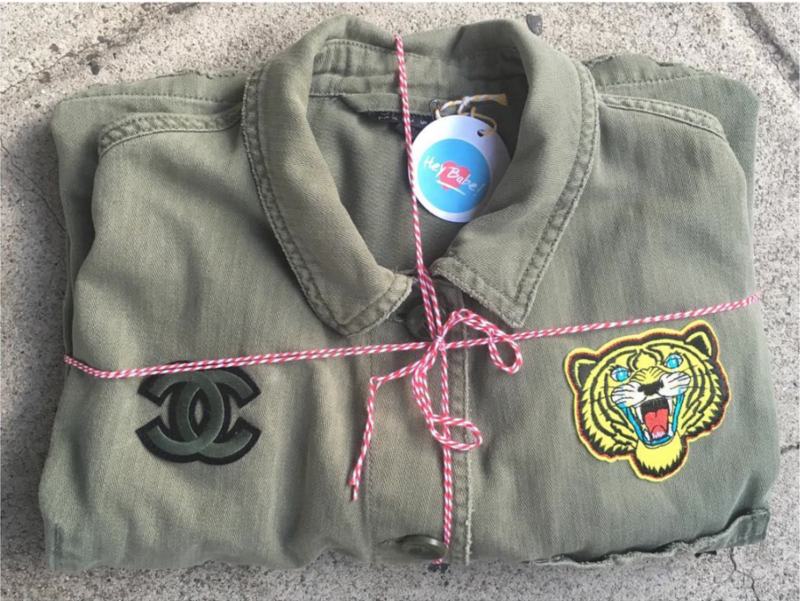 – inspired by the cult classic 80s film starring Yasmine Bleeth. Funny how everything comes full circle. Nothing is done without purpose when it comes to Hey Babe! 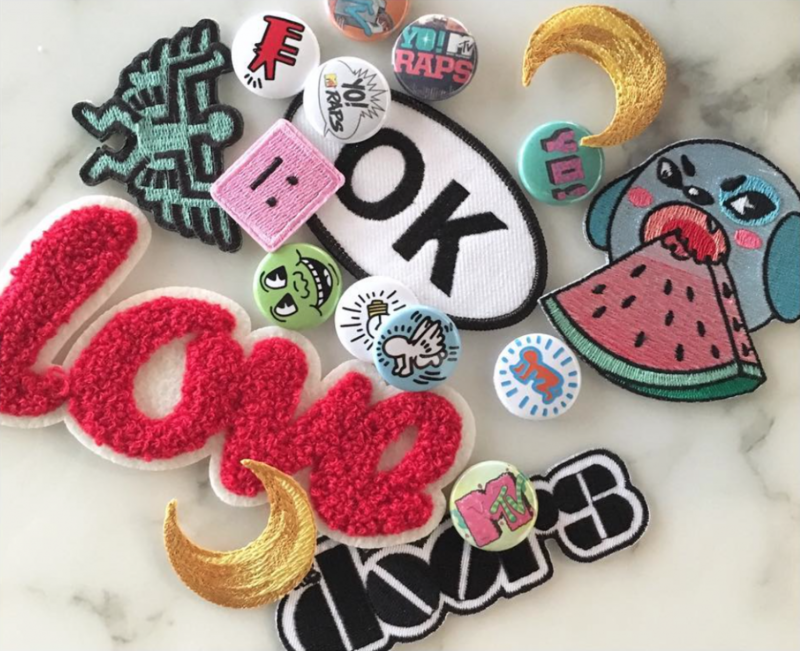 All of the patches and pins are curated by Natascha, with help from some rad friends. 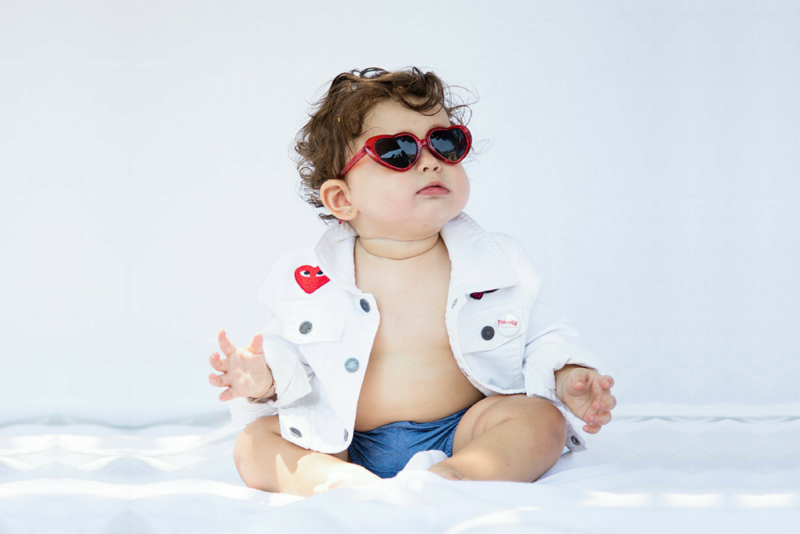 Hey Babe’s kids denim jackets evoke a feeling that, in a way, helps bond babes to parents. These styles are reminiscent of parents’ own childhoods and pass on the legacy of their youth. Ride ponies into the sunset, take walks at night to smell star jasmine, look up at the stars, watch old movies, turn the music up and stay golden!